It is in these ominous terms that the Rwandan dictator General Paul Kagame threatened to get even with Tanzanian President Jakaya Kikwete, while addressing Rwandan Youth on June 30, 2013 during a summit called “Youth Konnect”", sponsored by his wife, Janet Kagame. 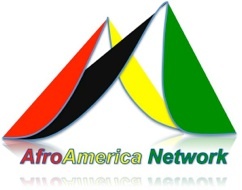 2013 AfroAmerica Network. All Rights Reserved. It is very disappointing at this point of East African Integration to even hear of such talk from a member of the Community! Rubbish! These are the fruits of overstaying in power. What a shame! Mambo gani tena nyinyi wa TZ, first of all Mr Kagame didn’t say a word about invading another country nor threaten anyone. He only addressed FDLR, and said “there is a fine line they can’t cross” if Kikwete and you guys felt you are concerned, I would ask why? Another thing :do you really think that what Mr Kikwete said in Addis was just an “advice”? Come on. No Rwandans intends to cross the border of Rusumo but you guys if you feel like fighting or invading Rwanda “you won’t know what hit you! Kumbe huya jamaa naye dictator? dirisha la kutoka madarakani laanza kupatikana. Ajaribu kuiteka tz hata mita moja ya ardhi ya tz! i realy do congratulate, presdnt J.K becoase he knows what he is doing, biG uP mr HORN!!!!!!. uSIpaPaRIke!. Kagame is a long-nosed brainless hippie on the highway…..we Tanzanians are not fond of bragging as he is doing and we are not used to foul-mouthing…if he wants the hit-and-run game, well , let him start it….. I can’t believe Tanzanians can be so idiotic. If Nyerere were told to talk with Idi Amin instead of going to war, what would his reply be? I can assure you he would have reacted much more strongly than the way Kagame has reacted to this. Don’t be silly, the president’s remarks were ill adviced, and kind of stupid. Thousands of FDLR members have gone back to Rwanda, and have been integrated into the society. The FDLR leaders who have remained in the jungle are known to be the pupetrators of the genocide and are wanted by internationl justice system. They have attacked people in DRC and they have attacked Rwanda in the resent past. To just say they should be forgiven because they have guns and can wreck havoc in DRC is plain stupid. You will basically be telling people that you can start a genocide and as long as you stick to your guns, you will be fine, thanks to silly minded Tanzanians. I am a Tanzanian, but I cannot support idiots just because they happen to be living in the same borders as me. 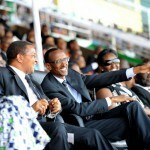 I’m proudly of my president …Jakaya Kikwete ….he dared …by the way who is Kagame? he sounds as crack head …I feel sorry for his words while he is the member of EAC….I think they should kick him out puppet leader now he think he is lord of wars…I hate uncle toms and house negroes like thy Kagame …. I’m afraid, this way-the EAC’s future is hanging in balance! I don’t think that a mere advice by President Kikwete in a closed door meeting in Addis Ababa would warrant all these open to public insults and threats. also i have come with the same understanding as u Brain, but if read twice he touched JK to 95% just wish peace only, let these guys resolve the issue. This is the sound of fear-for-truth. Kagame knows what he’s doing in DRC and the support to those mass-killers in DRC. African Leader’s (not only Kikwete) they know all the dirty game of him (Kagame) in DRC but non of them was willingly to speak out. Suddenly, Kikwete did. Now, the International society should put more emphasis on this issue of DRC starting from those African countries supporting the rebels. Poor Rwandanese don’t want to go back to what they have experienced on previous war. I think Kagame should weigh what he want to say before speaking out. P.kagame if Tanzania will revenge to your country you can’t even hit a single region in Tanzania. Think b4 you act you’re self. Don’t be silly. Can you even fight? Remember we stopped going to JKT long time ago. Idiots like you don’t even know what a gun feels like on hand, and you still think you can fight? You probably have difficulties putting yourself through school, or pay for the 1,000 Sh. tax per month on sim card, and you kind of think you can pay for the war. Idiot kabisa! 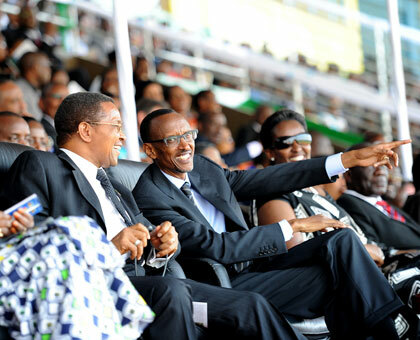 I just watched again on youtube the speech of President Kagame referred here! I am absolutely disgusted by the manipulation and deliberate mistranslation that the author of this blog has served you! The words of Kagame address his colleague were courteous. Only he added that he will answer to the right place! Otherwise, “the line not to cross” , the threat of “hitting them” were destined to the criminals who want to come back and brutalize the people of Rwanda again! Does this concern the President Kikwete? So you have to judge! This guy tried to inoculate us his venom of hatred and violence for what purpose? Some have taken in unison his lies and this can lead us very far and unfortunate consequences! KAGAME IS INSANE, YOU CAN NOT TAKE HIM TO COURT TO FACE THE CHARGE BUT IF HE FORCE PRESIDENT JAKAYA TO DO THE SAME, I SWEAR YOU WILL NEVER FORGET FOR THE SENTENCE YOUR ARE GOING TO FACE IN THE BATTLE FIELD, KAGAME REMEMBER THAT YOUR COUNTRY IS SMALL LIKE ONE OF TANZANIA’S REGION. HONESTLY BETTER TO APOLOGY IN ORDER TO SUSTAIN OUR PREVIOUS FRIENDSHIP AND COOPERATION. W e need no war with our brothers in CHIGALI,we paid a lot of price and we are still paying todate from TANZANIA -UGANDA stupid war,CCM is always stand ready for manipulating wars in MOZAMBIQUE,ZIMBABWE,COMMMOROS ISLANDS E.T.C, WE THE NEW generation we don’t want those devil philosophies we love KAGAME,and other true leaders of Africa who are not ready to be corrupted by westernes! !don’t worry Wanyarwanda we are not ready for that,certain regimen is about to collapse in our country now they want to win others mind by planning to lauch again the stupid war,listern ARISTOTO ONCE SAID”for the generation that can easly forget about ancenstors mistakes are condemned to repeat them”we are not ready to repeat Mwalimu NYERERE MISTAKES,he lauched war with Uganda to bring careless Obote in power then he got lost,i am calling my dady KIKWETE TO BRING BACK SOLDIERS WE NEED NO WAR WITH RWANDA PLEASE!! Kagame is brainless leader, he feel that by threatening he can archive, this is not DRC, it is Tanzania a blessed country as he can see. He has to think twice any action he can take it will be shameful upon himself. If he is not satisfied with wealth he had plundered he should go back DRC to his nephew Joseph and take more. We know all evils he had made to his own people and to DRC, so let him shake the match box to get a dose of spirit. If he think our country is just an old-woman farm as in DRC let him try his puppet-ship. We are strong and harmony and ready for anything for the interest of our nation. He is a black devil who does not know anything about humanity, he kills a lot of people in Rwanda and DRC who does not know about it now he want to turn in Tanzania, okay now we are saying his days will no longer counted. Our president JK is an example of Leaders in Great Lakes, he suggest to be silent instead of making a word war with Kagame, silent is a sign of matured man who can handle his family. To be silent means somebody take a time to digest what he hearing about anything. can’t you see the prezdaa is busy,has no time for such nonsensical argument,if want to do something you don’t go public and shout intimidating statements.no use. It was just an ADVISE. Kagame had the right to accept it or Reject it.for gods sake!!!! Our national wealth..Thats how this world operate. How arrogant a leader can be. This symboyses the greedy and blood hunger he is imposing among his people. Kagame is insane. He should be neglected. Shame on you and your leaders. It was just an advice ffrom Kikwete,,why do you raise hatred and becoming too wordy to your youth?? You still need fight???? It shows how Kagame has a black heart. Leave Tanzanians in peace…. This guy must be insane,kagame,and i guess kikwete he’s having something that he,kagame doesnt want it to come out,so insteady we see all this stupidity from him,and i guess he touched a wrong person & wrong country,we Tanzanians are very quiet and very polite,but when things matter,history tells us,we men of actions. Africa we are tired of wars and dictatorship.Mr Jakaya is a humble man and leader therefore should be respected.If Kagame need war should face Museven who is as dictator as he is.These kind of leaders gives bad image of E.A.C. Trully incompetent. Nchi imemshinda, anenda kuhangaika na nchi za watu. Mabomu yanapigwa ndani ya nchi yetu, yeye amiri jeshi mkuu eti hajui yanapigwa na nani. KAGAME is aggressive, He think is the only leader in EAC. He want to get on Iddi Amin’s brain. TANZANIA play with him very carefully. Well dear brothers and sisters,” if you want peace then prepare war” they said. I think Mheshimiwa Kikwete heard and he knows what it will be and he will never sacrifice his nation (Tanzania) for the merci of Rwanda. Let us all wait and see how the cat will jump. Let us again remember the Mutukula massacre to oust Iddi Amin Dada who died in a foreign country like… and others. I salute the effort of our brothers Tanzania and I hope when bell will ring then something good for durable peace will be done to Rwanda. Tanzania is not DRC where he plays at all time, he wants. We Taifas as some of the people call us are very polite,but very fierce and strongly united when circumstances force us to become so,we have that intuitive knowledge and spirit since the time of our ancestors (refer majimaji and germans,mkwawe and gersmans etc).This man should know that even ordinary citizens of TZ are always ready to volunteer to safeguard their nations,we act like bees,never mercy up with TZ. i think dictator Paul Kagame is is trying to see the other side of our comrade Jakaya Kikwete, I would like to insist him to allie with his advisor and see the other way of expressing his feelings. i berg him not to repeat this again, we dont need to stay in kigali on next 24 hrs. In whatever way, we should be patient and do not add salt that would trigger break of war. Peace is the precious metal for our peoples development and sustainability. God bless Tanzania to remain an island of peace and Africa. It’s unfortunate those hateful utterances coming from Kagame. Kikwete’s proposition was just a suggestion, Kigali may take it or leave it. I find it really absurd to threaten a sovereign state on the grounds that YOU didn’t like their (Tanzanians’) advice. To me Kagame’s words underscores yet his leadership incompetence, power hungry tyranny and proves that he (Kageme) has failed in handling his domestic feuds. The Tanzanian Foreign Minister,Mr. Membe is incompetent for allowing this to happen. And President Kikwete is careless for allowing this to escalate. But this statement of President Kagame is outrageuos and not statesmanlike. Well, I don’t see the reason for this Rwandese president to utter those hatred words. We in Tanzania have been ambassadors of peace not only in our country but in Africa as a whole. Kagame’s boastful and inhumane utterances won’t shake our stand. Should he take another step and do what we know he is doing to Congolese, then we shall see to it and teach him a lesson that he, and his country will never forget for so many years to come. I didn’t know that you are a Tanzanian Spokesperson! Kagame’s days are numbered. This guy would be finished within weeks of war between the two countries. I hope this would happen because people like Kagame are NOT worth living and fighting for. You live by the sword you die from it, he has to go, no matter what. Why would anybody want to return so dis respective remarks to a well wisher? is it true that the only reason to all this, is the comment made by president Kikwete over peace??? or is there another matter unmentioned? I have been a vehement opposer on how my President runs this country but I fully appreciate his international efforts to bring peace and tranquility in this region. To be candid I don’t beling to the Tanzanian ruling party CCM, I belong to CHADEMA but I remain firmly behind my President and regard Kagame’s insults as against all Tanzanians. President Kikwete was right to propose dialogue between the feuding factions that contribute to instability in the neighbouring DRC. To be perfectly candid Kagame is the source of all instability in the DRC as he has invaded the sovereign territory several times “in pursuit” of the FDLR and once threatened to overthrow the Kinshasa regime only to be stopped by the galant Zimbabwean Forces. He is blood thirst and has been behind several murders of his opponents outside Rwanda. He has transformed himself to be a dictator of the Iddi Amin or Bokassa type and hates any type of criticism. An attack to Kikwete, be it physical or invasion of this country will unite us all and make sure we get rid of this marauding tyrant now posing as a threat to all neighbors. this is the best you expect when people overstay in power! Well, they are both soldiers and should know the best way to size up in a millitary way without involving their people! Kagame is a fool. Whatever happens to our dear president, WE WILL HIT BACK. I don’t see the point why these two presidents whose countries are members of EAC hates eachother, well, let’s wait to see them fighting, but their fight shouldn’t involve their citizens. I trust and hope that peace will prevail for the people of Rwanda and Tanzania through it’s leadership! The Vision started in the bustling City of Baltimore, Maryland in July 1997. The Internet was still at its infancy and the fist Internet bubble was about to begin. But Africa and AfroAmerican world was very sparsely represented, if not inexistent, in the new World Wide Web. Two AfroAmerican (an African and an American) visionaries wanted to correct that. They created AfroAmerica Network. Now, 15 years later, it is time to reflect. Thanks for your support over the years as AfroAmerica Network celebrates its 15th Anniversary! ©1997-2013 Copyright AfroAmerica Network. All Rights Reserved.